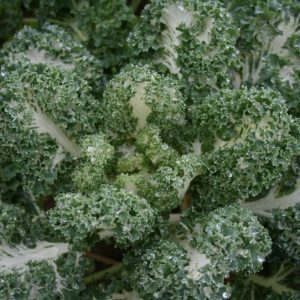 Kales are currently undergoing a huge resurgence in popularity due to their fantastic nutritional benefits. Tozer Seeds predicted this trend some years ago and have reacted with the timely development of a brand new contemporary range of brightly coloured kales with fantastic leaf textures and unique eating qualities. All these new kales require only very light cooking and are well suited to modern culinary methods including stir-fry, steam and microwave. Cultivation of the new Tozer kales is identical to traditional kales, using the same sowing dates and spacing. They are very versatile, with all varieties being suitable for harvest from young plants to full-grown mature leaf. Pentland Brig is an old fashioned variety that we have rediscovered and are now selling because of its unique sweet taste. 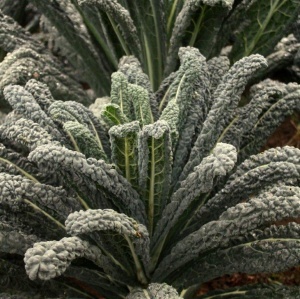 It is slightly less curled than most standard kales and has a distinct paler leaf yet is extremely winter hardy. 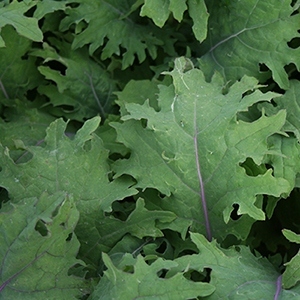 It can be sown from March onwards either as standard kale and the whole leave used or shredded, or grown on a closer spacing and used at ‘teen’ leaf size. Tender colourful, speciality for bunching and baby leaf. Leaves are flat with red purple / red veins, colour intensifies with the cooler temperature. This new variety has the best eating qualities of all the kales. The textured, ruffled leaves develop a striking contrasting white centre as they mature and have a very sweet flavour and have the crispest texture. The very ruffled leaves give great bag-fill. This variety is also suitable for multiple cuts. 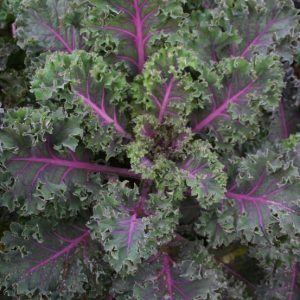 This stunning new kale variety has a deep red textured leaf and a striking pink mid vein running throughout the leaf. Suitable for multiple cuts, this variety is very versatile. 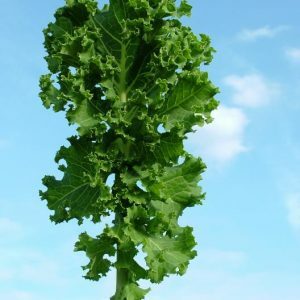 It is the best variety for use as a baby leaf kale but also works well as a mature plant. 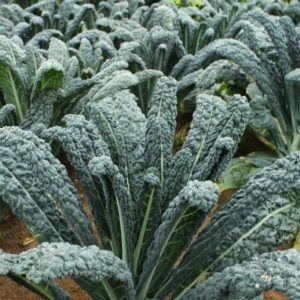 The F1 hybrid cavolo nero has very uniform, thin, dark and well textured leaves which are perfect for bunching. This plant has a neat, rosette shaped plant habit which is easy to harvest. This variety is cold weather resistant and can stand tougher conditions. Bolt resistance is also high for this variety. A new variety of black cabbage breed by Tozer Seeds. Winter hardy with darker, savoyed leaves rather than conventional varietes. Flavour improves with frost. Use as baby leaf as a savoyed brassica. Mature leaves grow as a rosette rather than on a true stem.